The Teams section enables you to create teams and assign sales representatives within your company. Creating teams enables you to assign companies, contacts, notes, and appointments to a sales team. To create a sales team, click on the Add button. Enter a name for this team in the Team Name box. Then, use the dropdown to view the available users within your company. Click on the representative's name to add them to this sales team. 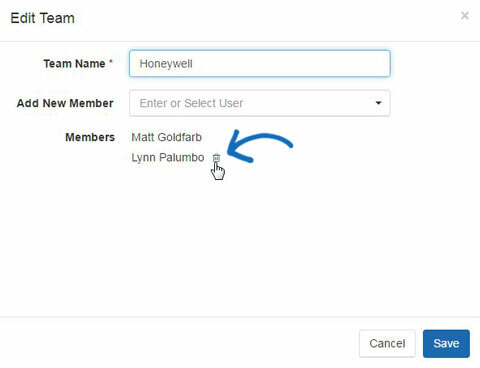 You can also begin typing a representative's name in the Add New Member box and matching results will display in the dropdown. After you have finished adding representatives, click on the Save button. 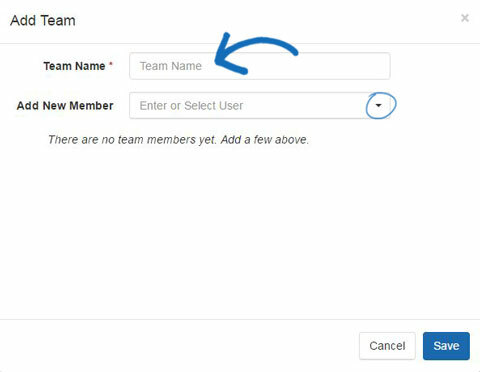 To edit a team name or the representatives within it, click on the Edit link for that team. You can also click on the Delete link to remove the team from your CRM. To remove a representative, hover on their name and then click on the Delete icon.